Callie and Marie amiibo, along with recolors of the Inkling trio, will launch July 8, Nintendo said on Twitter. The squid sisters will unlock new musical performances and will feature "tasty textures," "delicious detail," and "savory sparkles." It is unknown if the new Inkling trio unlocks anything different than the original. North America is hitting the races the same day as Europe. Nintendo's upcoming games list has revealed a couple of titles coming soon to North America. The first to release is Pocket Card Jockey, which will release on May 5 in North America. The European release for the solitaire-fueled horse racing simulation was previously announced for the same day. If there is a Japanese game system, it will have musou. No exceptions. Although SquareEnix teased it, KoeITecmo are the first company to formally announce support for the NX. The announcement was made in the company's financial statements that released yesterday, and were reported by a market analyst known as ZhugeEx. KOEI TECMO confirm that they are starting development on Nintendo's new console codenamed "NX".No project announced just yet. And much like Pat Boone for some reason, we're going metal. Early and preorder buyers of SMT IV Apocalypse will be getting metal this summer. Atlus today announced that the first print bonus for the game will be three metallic pins designed around the themes of the game, peace and anarchy. The pins are .75" (1.9cm) in diameter and are finished to a high shine. Following a chaotic and messy day of news, a download article seems almost redundant. But the show must go on. Most of the attention today is focused on the “free, but…” trio of the two Mini Mario & Friends Amiibo Challenge and the final version of Lost Reavers following the two week beta period. Note that the Mini Mario game won’t even go past the title screen unless you have, say, Best Princess or another amiibo in that range. And you can't bring anybody in with you. Fire Emblem Fates's first map pack has wound down in North America, but the second pack will launch next week. "Heirs of Fate" is a six part series of maps that takes a new set of characters on a standalone adventure against a mysterious foe. The packs can be purchased individually or as a part of Map Pack 2, which will also release next Thursday for US$7.99/C$11.29. The Japanese ads behind home plate will likely remain. 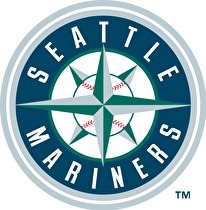 Nintendo of America has begun negotiations to sell a large portion of their Seattle Mariners ownership. The first and last time we'll say this: I'm really feeling it. North American Wii U owners will be able to partake in an epic adventure starting with tomorrow's eShop update. Xenoblade Chronicles will release tomorrow as a download on the Wii U for $19.99 (US)/$24.99 (CDN). The first of the Operation Rainfall trio of late-era Wii RPGs to release on disc will be the last to release in North America digitally. Anything sold on Wii U this fiscal year will be a bonus. 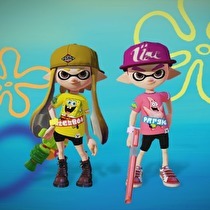 Nintendo did post an operating and overall profit for the past fiscal year, though numbers were down across the board. Following the launch of Miitomo, Nintendo is looking to big portable hits for their smart apps. During their earnings press conference today, Nintendo confirmed that the Fire Emblem and Animal Crossing series will both be represented in their mobile strategy. There will be one more year for the 3DS and Wii U as Nintendo's main drivers. Nintendo's full year financial results have released, and with it comes confirmation that the "new concept" of the NX will be a March 2017 release worldwide. It comes from a land down under. Almost nine minutes of Pokemon Go footage has been uploaded by beta tester and YouTube user Darkathion. The video shows off character customization, the overworld map, catching Pokemon with and without the AR camera, gyms, replenishing items, and hatching Pokemon eggs. 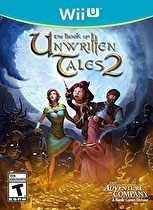 This footage comes shortly after the beta version was made available in Australia. Games for Nintendo systems have shown up in another Humble Bundle. Nine Nintendo-system games are available through Humble Bundle, a digital storefront and charity fundraiser.The bundle is available in North America and Europe. And the postmaster will dive deep. Longtime readers of Nintendo World Report might remember that back in the day, we had an occasional mailbag. And thanks to your Patreon support, it's coming back. You can send your questions to mailbag@nintendoworldreport.com and our crack research team will set to work finding an answer. The plan is to have the mailbag published on the second Tuesday of each month, though patrons will have access a few days before that. The PAL release of SMT IV Apocalypse could be hit even harder with delays. 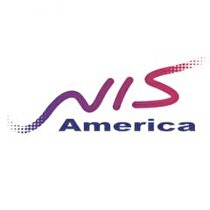 A long standing partnership between NIS America and Atlus for game distribution has come to a close. "Is this a civil war?" "No, this is Patrick." Prepare to meet The Outsider. The critically acclaimed SteamWorld Heist is about to expand even more. Will all of Amaterasu's attacks be present? Monster Hunter Generations will let you be anything you want - including a god. Capcom announced this week that one of the playable Felyne costumes in this summer's celebratory title is Amaterasu, the sun god/wolf from the Okami series. The costume will work both in standard play where the Felyne is an AI companion, or in Prowler mode in which you play as the killer cat. 30 years and we're still finding out things about the game that made the NES famous. Despite its age, new secrets are still being found in Super Mario Bros. - including code errors. According to a source code disassembly performed last year and published at The Cutting Room Floor, the behavior of Spiny eggs is not as intended. 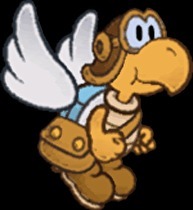 Rather than dropping down, the eggs were meant to be thrown at an angle based on Mario and Lakitu's position and movement speed, as well as having physics for bouncing off pipes or blocks.